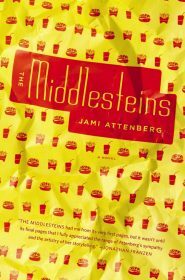 On its surface The Middlesteins by Jami Attenberg is the kind of the book I dismiss out of hand. Jewish suburban ennui? Been there. A fat character wrecking her family? Done that. Unhappy marriages and bratty teens. Got the t-shirt. Beautiful writing with a light plot? Don’t even get me started. And yet to dimiss Attenberg’s sensitive and ridiculously readable The Middlesteins based on those surface descriptions would be a huge mistake. I’m ashamed to admit I went into this one with a giant chip on my shoulder. A fat character who was eating herself to death and her concerned family who wanted to help her? Please. I fully expected to walk into the same kind of fat-people stereotypes that I found in Everybody Sees the Ants, and was shocked when I didn’t. Attenberg showed that Edie Middlestein, despite her girth, was a real person filled with things to love and to hate. Fiercely intelligent, feared, well-loved, and fatally-flawed Edie finds love and comfort in the food she cannot stop eating. Her weight is taking a toll on her sixty-year-old body and after two surgeries on her legs, her family rushes in to intervene. Matters are not helped that as her health falls apart Edie’s husband, Richard, decides to leave her. Their parents’ separation does nothing to soothe the ennui their children are feeling. Robin’s a hard-drinking history teacher in Chicago who is unsure of her relationship with the drinker who lives downstairs. Benny’s a suburban father whose twins, the product of a frat party hookup that turned into a long-time marriage, whose wife gets a little hysterical when his parents split. He copes by getting high in the backyard every night. The story of the Middlesteins is told in turns by each family member, the neighbors, and potential love-interests, giving the reader a full view of the family from all angles. It is wonderful. Each character is painted with the slightest hint of author judgement. Attenberg presents each one with the same amount of care and detail. She writes about Edie’s bingeing and the effect it has on her family the same way she writes about Rachelle, Benny’s wife, and her obsession with feeding her family healthy meals mostly consisting of raw vegetables. While this book is pretty light on plot, a lot of the ‘action’ centers around the twins’ upcoming bah mitzvah, when we finally get to that party it is well worth the wait. The lack of plot is not a slight in the least, I was surprised by how compulsively readable this one is. I never wanted to put it down. Each Middlestein voice was more compelling than the last. And just when you think things are either going to fall apart or fall together nicely in a new family configuration tragedy strikes and it breaks your heart right in two. 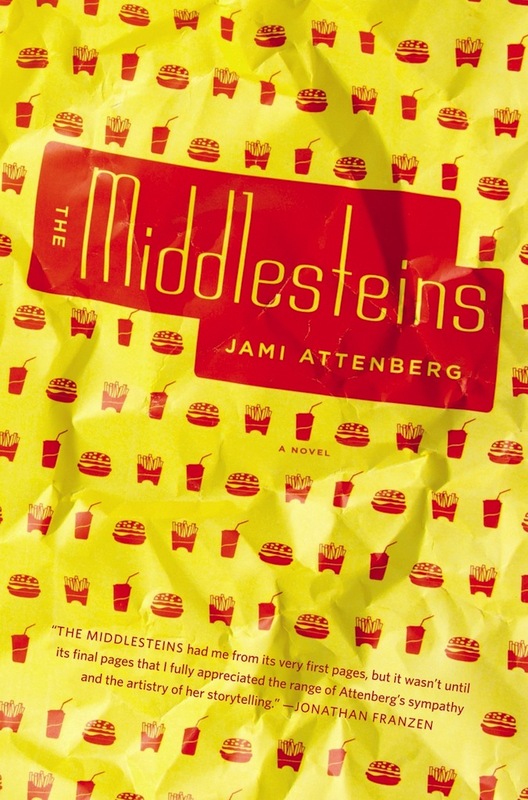 The Middlesteins is one of those books that grows on you long after you close the cover. The more I think about it the more my heart swells with love for it. 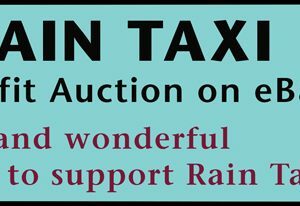 ← Rain Taxi’s Annual Benefit Auction Starts Today! Rain Taxi's Annual Benefit Auction Starts Today!